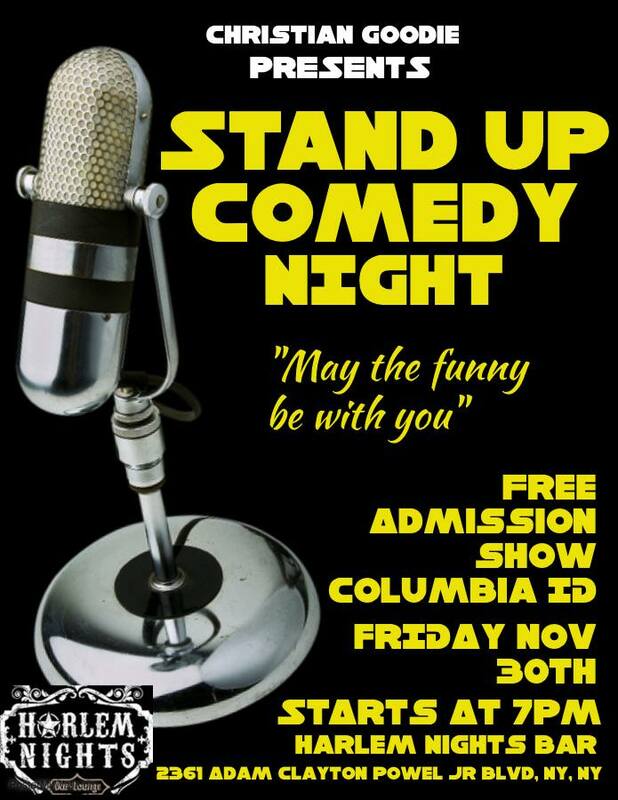 Stand Up Comedy - November 30th! I’m performing stand up comedy on November 30th at 7pm in Harlem. This is, incidentally, the first time I’m performing public stand up. So. I’m expecting to fall on my face. Hard. But that’s the point of it all, eh? Looking forward to it - and thanks to Christian Goodie for putting the night together!